Will it be a season double for KKR, with IPL and CL T20 wins? Owned by the King of Bollywood Shah Rukh Khan, Kolkata Knight Riders kick started their transformation from focusing on garnering maximum popularity to focusing on the quality of cricket in the 2011 IPL season. The Knight Riders administration had new faces and consequently their roster changed almost completely, which failed miserably in the first three years of the competition. This is of course barring a few Bengal and Indian players which the franchise felt are developing talents and would serve the side in the future such as Manoj Tiwary, Jaidev Unadkat, Laxmi Ratan Shukla and Iqbal Abdulla. The team made a strong statement by capturing Gautam Gambhir and Yusuf Pathan within the first hour of the 2011 auction for $USD 2.4 million and $USD 2.1 million, making them two of the most expensive players in the IPL that year. Half of their purse went in purchasing two of the best players in T20s for India, which solved their problem of not having quality Indian players in the side. The rest of the purse was spent extremely efficiently and players of high stature such as Jacques Kallis, Brett Lee, Shakib al Hasan and Eoin Morgan were purchased. A couple of other players from successful IPL franchises in the past were picked since they were an integral part of it such as Lakshmipathy Balaji and Rajat Bhatia. Finally, the team looked like the most balanced one in the IPL and as a result they finished fourth in the 2011 season making it to the playoffs stage for the first time ever. A big monkey was finally off their backs. Gautam Gambhir’s style of captaincy and the senior players’ inspiration was the key in helping the Knight Riders reach the Champions League qualifiers, where they had to play Auckland Aces and South Australia Redbacks in a match each to qualify for the tournament. They won against Auckland but lost against Redbacks, however their net run rate made them finish second out of the three teams and thus they made it to the round robin stage. Unfortunately their net run rate did not support them at this stage as they fell slightly short to their archrivals Royal Challengers Bangalore and thus could not make it to the semifinals. But the platform was built by the team to succeed in the near future and the administration strengthened the roster further with the repurchase of Brendon McCullum and other purchases such as Sunil Narine, the Trinidad and Tobago off spinner and Marchant de Lange, South African pace bowler. Their other weaknesses seemed to be covered as well with these purchases and thus the team was all set to play as per the team’s new marketing campaign ‘New Dawn, New Knights’. The team had a horrible start to the 2012 campaign by losing at home to the Delhi Daredevils and Kings XI Punjab and an away game to the Rajasthan Royals. Many felt that the old Knight Riders attitude would be seen again and they would not make it to the playoffs this year. But then there was a remarkable turnaround as the team went to win six matches on the trot, which is a massive achievement in T20 cricket. Gautam Gambhir led from the front as captain and with the bat too, and Sunil Narine proved why he was worth more than $USD 750,000 for the team. There was a minor hiccup with home losses to Mumbai Indians and Chennai Super Kings but the team managed to finish second on the points table and make it to the playoffs for the second year in a row. Then their brilliant run began again as they beat the No.1 team Delhi Daredevils in the first playoff match in Pune and proceeded directly to the final where they clinically beat defending champions Chennai Super Kings in Chennai, chasing down 190 with two balls to spare. Kolkata were declared the IPL champions for the first time ever! This, after not many felt that the team would win the championship due to SRK’s influence on the side. With their title victory, this time they have automatically made it to the round robin stage of the Champions League T20 in 2012. They are likely to be the favourites to win this year, whether the tournament would be played in India or South Africa. 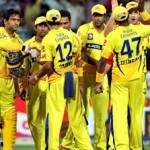 Can CSK win the CLT20 for the 2nd time? The most consistent team of the Indian Premier League proved why they are so, even in the 2012 season. 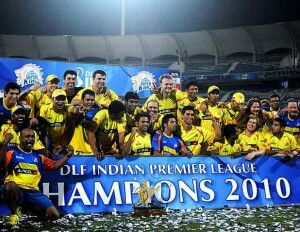 A year ago, many doubted if Chennai could win an IPL title again since the teams had to change in the auction. But the Super Kings strategically planned to buy back their players since they were like a family which had bonded extremely well in the first three seasons of the competition. They did the exact opposite of the Knight Riders, but this has worked out for them well. After retaining MS Dhoni, Suresh Raina, Murali Vijay and Albie Morkel, Chennai proceeded to get back Michael Hussey, Doug Bollinger, Ravichandran Ashwin, Subramanium Badrinath, and Shadab Jakati. There were new additions to the team as well such as Faf du Plessis of South Africa, Tamil Nadu fast bowler Yo Mahesh, Sri Lanka’s bowling duo of Nuwan Kulasekara and Suraj Randiv and another Australian pacer Ben Hilfenhaus. In this way, the team again looked like a complete package and went on to win the IPL 2011, despite stiff competition from teams such as Royal Challengers Bangalore and Mumbai Indians. Chennai made it to the Champions League T20 2011 but none of their players found form in the competition. They were subjected to a shock defeat by Mumbai Indians in the opening game of the tournament in Chennai and although they defeated Cape Cobras to keep their hopes alive, in the end they lost to Trinidad and Tobago at the same venue. Thus, they were surprisingly knocked out in the first round and were unable to defend their Champions League title which they had won in South Africa in 2010. Not many changes were made to the Super Kings’ roster for the 2012 season, but they made headlines by capturing Ravindra Jadeja in the auction for reportedly $USD 2 million for which the franchise spent their entire purse. Jadeja has been in good form for the Indian team since the World Cup and with Dhoni’s immense confidence in him; he was an obvious pick for the team. But for that much money, Chennai could have actually further strengthened their squad. Chennai had a miserable start as well to the 2012 IPL season by losing to Mumbai Indians at home by 7 wickets. They pulled off their first win in the next game against Deccan Chargers but were inconsistent throughout the league stage of the competition. Their dominance at home was not that strong this season, winning only against laggards such as the Chargers, Pune Warriors India and Rajasthan Royals. Of course their home win against Royal Challengers Bangalore was one of the highlights of the season, as Albie Morkel hit 28 runs off an over of Virat Kohli to help Chennai chase down a massive target of 206. But the team somehow made it to the playoffs stage for the fifth year in a row, as they were assisted by Deccan who beat southern rivals Bangalore in their final league game at home. Yet, Chennai’s best again came out at a stage where it mattered the most. They thrashed Mumbai Indians in Bangalore and Delhi Daredevils at home, to dramatically make it to another final at home which was against Kolkata. Unfortunately they succumbed to Manvinder Bisla’s surprise pyrotechnics and like the first season, finished second in the competition. Chennai makes it to the Champions League T20 for the third time in a row, indeed a tribute to the Dhoni-led team. Watch out for them as they would gun for revenge for a second title! Owned by the GMR Group, the Delhi Daredevils was one of the most powerful teams in the Indian Premier League for the first three years. Until they decided to surprisingly retain only Virender Sehwag and not buying back other world class players such as AB de Villiers, Tillakratne Dilshan, Daniel Vettori and Gautam Gambhir in the 2011 IPL auction. All the four went to other franchises and those franchises benefitted the most. But the Daredevils revamped their entire roster having only Sehwag, David Warner and Umesh Yadav as recognizable faces of the side. Thus, the inevitable happened. Delhi Daredevils were a one-man army as the captain Sehwag was the last man standing, having to see his team lose match after match in the 2011 season. He singlehandedly won his side three of their four games they prevailed in, throughout the 14 matches of the competition. Irfan Pathan, who was bought for $USD 1.9 million, was a huge flop and there was several chinks in the Daredevils armour such as a fragile middle order, the absence of a world class spinner and a predominantly Indian bowling attack comprising of not just Pathan and Yadav, but also the likes of Ajit Agarkar and Ashok Dinda who ironically turned out for the failed Kolkata Knight Riders side in the first three years. Delhi finished an embarrassing 10th place, joining Deccan Chargers, Kolkata Knight Riders and Kings XI Punjab in the hall of shame of finishing last in the IPL. This miserable performance was a wakeup call for the team management which had let the capital city of India down, to strengthen the team to a huge extent. And they did so, come the 2012 IPL auction. Players of high quality in T20 cricket such as Sri Lankan skipper Mahela Jayawardene, New Zealand skipper Ross Taylor, the No.1 T20 batsman in the world Kevin Pietersen, West Indies’ upcoming Andre Russell and New Zealand’s upcoming pacer Doug Bracewell were amongst the players picked a month and a half before the IPL 2012 again. Suddenly, the Daredevils entered the competition as one of the favourites to win! And they proved why they were so, with a stunning performance in the league stages of the competition. They began extremely well with a win against the Knight Riders in Kolkata, and went to win both at home and away. None of the opposition teams could go one up on them barring Kolkata, who actually beat them two of three teams in the IPL 2012 (one being the first playoff game in Pune). Unlike the last year, this year every player stood up for the team whether it is Sehwag, Pietersen, Jayawardene or Warner. Ross Taylor was not at his best but he could have won Delhi a lost game against Bangalore in Delhi, where they were chasing 215 to win. Shahbaz Nadeem is definitely a talent to watch out for, as his left arm spin got him 17 wickets in the competition. Morne Morkel has improved leaps and bounds as a T20 bowler, and his presence was sorely missed in the virtual semifinal against the Super Kings in Chennai since he picked 25 wickets, being the highest wicket taker of the IPL 2012. But again the Daredevils succumbed to their worst enemy, pressure. When it mattered the most to perform to the fullest, they failed. Back to back defeats to Kolkata and Chennai in the playoffs consigned them to the third place finish this year yet they make it to the round robin stage automatically. This team can however take inspiration from the Mumbai Indians, who finished third in 2011 and went on to win the Champions League T20. Will it be deja vu of 2011 for Mumbai in 2012? There is no guarantee whether Mumbai Indians will get to defend their Champions League T20 title this year because they finished fourth in the IPL 2012. This means that they will have to play the qualifying matches, like the Knight Riders did in 2011 and probably win both of them to qualify for the main round of the competition. This was an inconsistent campaign for the Mumbai Indians, who somehow managed to qualify for the last four with 9 wins in 16 matches. Most of Mumbai’s wins this year either took place in the last over or on the last ball, which was a bit fortunate. Plus, they only won three home games, which were against Rajasthan Royals, Deccan Chargers and Chennai Super Kings. There were no stand out performers for the team, barring Lasith Malinga who once again proved to be the team’s saviour, picking 20 wickets in the competition. Mumbai strengthened their squad by picking more foreign players and changed their captain from Sachin Tendulkar to Harbhajan Singh. Yet, they fell short of winning the IPL as they too like Delhi Daredevils, wilted under pressure against a team which they had beaten twice in the 2012 competition. It remains to seen whether the franchise owned by India’s richest man can win another CL T20 tournament, even as the team has never won the IPL despite having finished in the last four since the last three years. KKR and CSK are looking strong. DD can go as far as Viru can take them. And no need to bet on MI at all. It seems trophy is going to come home after all.